On July 30th the Rockingham Slot race club hosted a 6 hrs GT3 race on its Spa-Francorchamps themed Digital track. 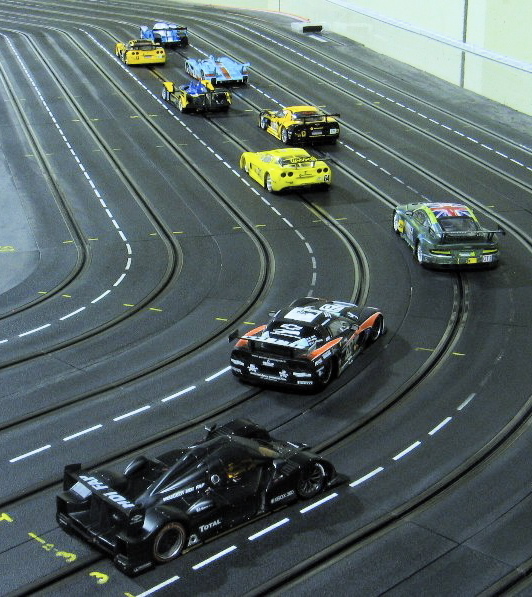 12 teams lined up on the grid with a variety of 1/32nd Slotcars of brands like Black Arrow, NSR, Scaleauto, Scalectrix, Sideways, Slot.it and TA71. This wide mix of near stock and modified slot cars were run to DiSCA GT3 rules with a BoP that safeguards a fine tuned Balance of Performance for all cars in the competition. Racing For Holland and Soulbros inc. entered the first Davic system race at Charleroi race center. 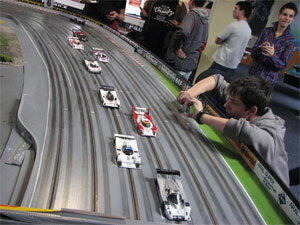 Davic is a digital system which makes it possible to race with 15 cars at a 6 lane track. With 4 lane change possibilties and driving the car in the same lane as some others is a complete new racing format. 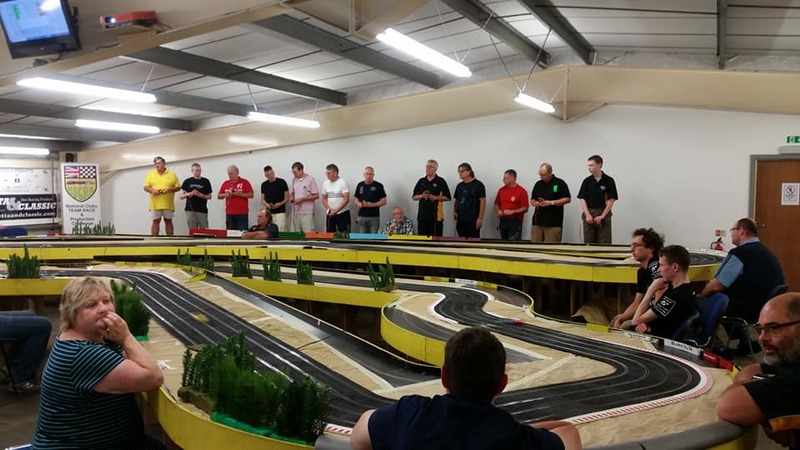 Last weekend's "Big Wheels @ Spa" saw a major turn out of 18 teams racing their wide bodied, big winged and big wheeled 1/24 modelcars at the beautiful Spa Francorchamps track in the Titanic Bowling center in Alsdorf. They'd all came back with their Capri's, Porsche 935's and BMW 320 turbo's.  For the second edition the grid from 12 cars (2007) to 18 cars in 2008. A clear indication that Gr5 and their brothers in arms from across the pond (IMSA GT/GTU/GTX) are still very popular, even when raced with an inliner chassis. For some years now Sebastian Nockemann and Jan Uhlig have roamed the German slotracks. They're always blindingly fast, taking no half measures in building cars that can win. Their team name (best translated as "The Plastic Tormenters") comes from the time when they grinded, twisted and drove their modelkit bodies into oblivience...just to squeeze that final 1/100th of a second out of their car. Winning concours points was not exactly high on their agenda...until last weekend. As the combined points of both the race and the concours result would count for the final ranking, PlastikQualer swapped their screwdrivers and oil for Photo etch parts and High gloss polish. Being part of last weekend's Le Mans Legends race was a "dream come true" for 4 of the Slotringer Youngsters. Marc Kurella, Pierre Jung, Sven Manti and Andre Linberg managed to get a seat with some of the top German teams that took part in this event. Right from the start it was clear that the Young guns were more than ready to mix it with the "old boys"
This weekend the DKPM was held for the first time ever. The event was organised by Danish PlaFit importer Keld Høfler, and sanktioned by Kurt Petri for PlaFit Europe, at his and Gorm Nøregaards racecenter RACEFUN in the outskirts of Copenhagen. Originally it was intended to be a two day event. The race was as stated above held at the slotracing center RACEFUN, on the "Art of Speed" track which should be very well known by Dutch and Belgian racers, as it used to "live" in the BeNeLux. The track has been only slightly modified since the, as the s-corner right after the start/finish line and before the donut has been changed into a standard lefthander. Therefore the laptimes might just be a tad faster then in the old days. In the end the entry was a little on the low side, only 8 teams of 3 drivers entered, but that is still 24 Danish model car racers, and among them where some of the best racers. Because of the rather low entry the event was reduced to a one day event. Race report: First 2 hours! On the wooden six laner with nine teams, Badet, Vandaas and RFH choose for the sitout first. 1, 2, 3 stints respectively. The first victim of the 12 hrs endurance is already there! The body of White Mosue racing came off costing the team a mere 60 laps before they could continue. Also the "experienced" RFH boys got there part of bad luck as well. The splitter had been glued the night before but proved not to be able to resist a sudden impact crash costing the Dutchies at least 40 laps. Fastest laptimes are between 5.90 and 6.00 on this wooden short-track. With griplevels slowly increasing I would expect 5.80 is possible during the famous night stints ahead of us. That's it for now....keep you posted in about 2 hours time. The Norwegians we'd met during the Danish 9hrs were planning their first 1:24 Endurance for GT's. Gabriel first spotted the race on the Danish forum and said; hey guys why don't we go to Oslo, its for GT's, we've got a car ready and the flights are cheap....who is willing to go? After some consideration (and negotiations with the wife's) Marcel and Henri decided to go, even Mr. T. was willing to come out of its retirement for this event. The plan for this race?... have fun and make some new friends! 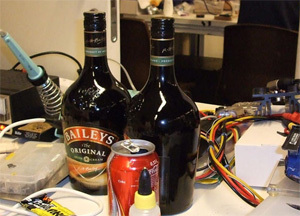 So the first things we packed were...3 Bottles of the famous Irish Cream! A personal account by Henri van Gool. Door Schade en schande wordt je wijs. Dat dit spreekwoord in de LMS niet alleen voor debutanten geld wordt wel duidelijk uit het verslag van DVR's team captain Henri van Gool. Zoals altijd was team Matchbox weer vol actief tijdens de LMS finale. Niet alleen streden ze op de baan voor de derde maal op rij om de 2e plaats in het kampioenschap, ook naast de baan is het team actief met Mack als TC en Wedstrijdleider. On Saturday November 5th 2005 the second edition of "Les Neuf Heures du Vikings" (or rather Vikings Scaleracing Club’s 9 hour endurance race for modern Le Mans cars) took place in Frederiksund Danmark. On behalf of Vikings Scaleracing Club I would like to thank the 8 participating teams. Thanks for an exciting and fair fight, which all through the day was going back and forth. The fight was very, very close through all ‘9’ hours. In de 1/32 is Bas Polkerman een ervaren slotter met een aantal overwinningen op zijn naam. Dit jaar maakte hij zijn entree in de 1/24 modelcars. Sleutelen was nog al een probleem, zo overwoog hij zelfs "pruster" als username voor op het forum. Maar het rijden met "big scale" ging steeds beter. Lees in z'n raceverslag wat er kan gebeuren als een "prutser" een goede auto in z'n handen krijgt. Voor de 2e Group C race reisde de LMS af naar Duitsland. Bij onze oosterburen in het Niederrhein gebied word meestal op zaterdag geraced en rijd men niet op Spons rubber maar op de "beroemde" Ortman Wiesel (Polyutheraan) banden.